Yes, we all need water to survive so clearly a bottle of water is something that gets us through the day, BUT really think about it. How refreshing is a cold bottle of Poland Springs? 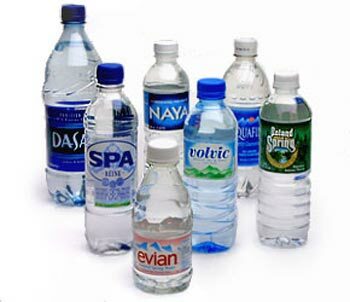 (Or whatever your favorite brand is) Whether you have just left the gym or are reaching for water to cure that Sunday morning hang over water just hits the spot. Surprisingly, it even makes for a good procrastination tool. As I’m sitting in the library attempting to work on the rough draft of my senior thesis, my bottle of water is serving as a nice break when that twinge of writer’s block kicks in. Whenever I come to a pause, or don’t know how to start the next paragraph I just reach for a sip. Now, don’t get me wrong, I’m not saying water is the cure to writer’s block, because I haven’t really found anything inspiring in the bottom of the plastic bottle, but it does occupy my hands when I know they should be typing away. I also find water to be a mind trick/comfort when eating. I hate to admit this, but I like to pretend that if I have a minor binge eating day, drinking mass amounts of water will flush the food through my body faster so the calories don’t count. I know I sound like Izzie Stevens in Grey’s Anatomy when she says she thinks that is no one sees her eat a stick of butter then it doesn’t count, but whatever helps get me through right? Everything is okay when justifiable… okay maybe no everything… Don’t judge me just go drink some water.